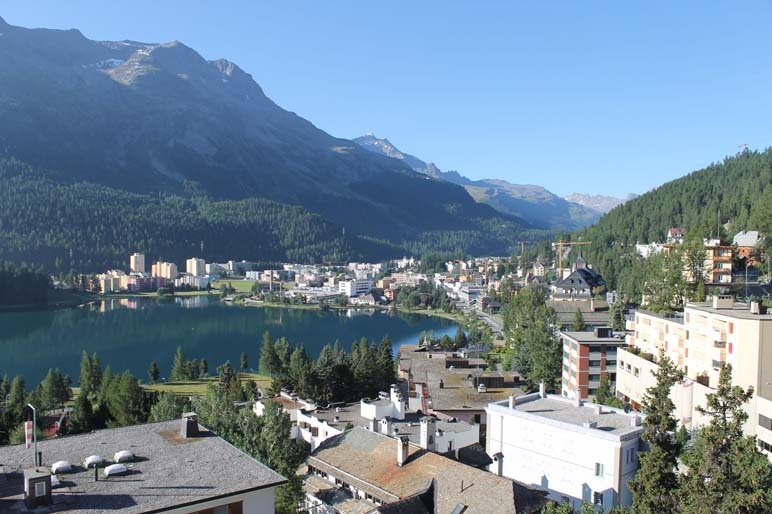 Lake St Moritz and the Alps are some of the focal points of the views from the Hotel Schweizerhof's rooms. Pictures: Bruce Dennill. In a town like Switzerland’s St Moritz, to which the rich and famous flock and in which their every Prada-, Ferrari- and Hermes-related need is catered for, expectations of finding a place where you can feel comfortable in the old-fashioned emotional sense seem foolish. 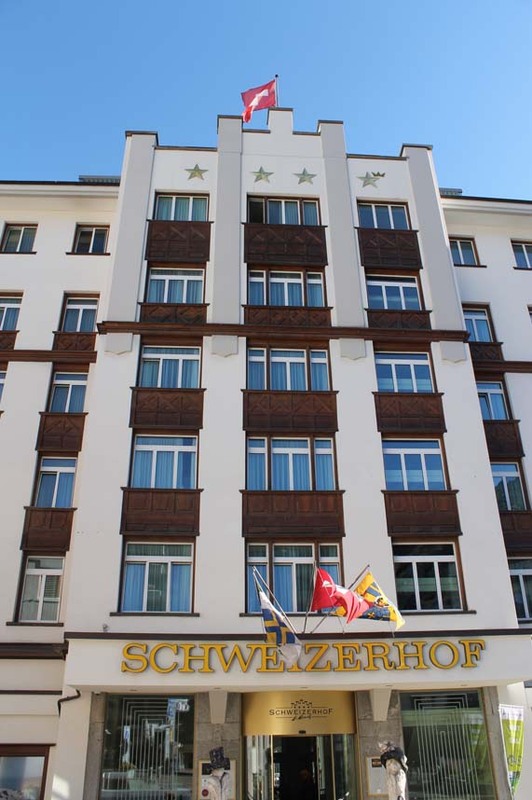 Happily, the Hotel Schweizerhof defies the formula and radiates genuine warmth in all senses of the word. The Belle Epoque building is situated in the literal centre of town – step out of of the lobby and you’re in the middle of the traffic roundabout that determines which suburb you’ll head into, and the shopping district is a stone’s throw up the hill (even if it’s a heavy stone and you’re not terribly strong). Everything inside suggests space, from the breakfast room, which features a 12×8-foot original painting above the buffet to the sweeping wooden staircase opposite the reception desk. The rooms are not massive, but the decor is elegantly sparse, so you feel like you have plenty of space. The facade of the Hotel Schweizerhof is unmissable when passing through St Moritz. And if you have a room facing Lake St Moritz at the bottom of the slope on which the town is built, stepping out onto your balcony exaggerates that feeling – beautiful still waters below and the Alps kissing the sky across the valley. The Schweizerhof is one of the tallest buildings in the area, so there’s no encroachment on your view by ugly utilitarian structures. The building also houses a separate restaurant, pub, club and piano bar, so if the weather is less than friendly (check via the webcam broadcast on the hotel website) there’s no need to go outside for entertainment, even if you’re after something fresh on successive nights.